Mushkin has decided to jump on the Sandforce-based SSD bandwagon and has announced its new Callisto series based on Sandforce SF-1200 controller. 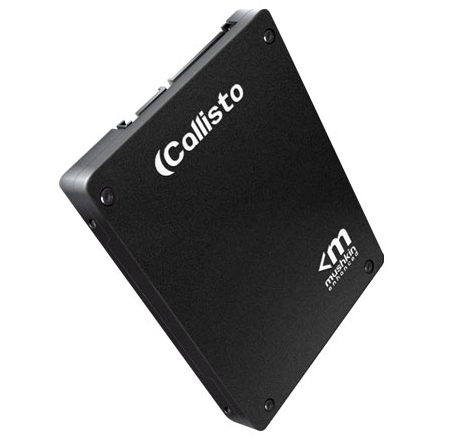 The new Callisto series SSDs feature a maximum read and write of up to 285MB/s and 275MB/s and will be available in 60, 120 and 240GB capacities. It comes with a MTBF of 2 million hours and has a 3 year warranty. Callisto series should be available pretty soon with a US $240.49, US $406.99 and US $733.49 price tags for 60, 120 and 240GB models, respectively.